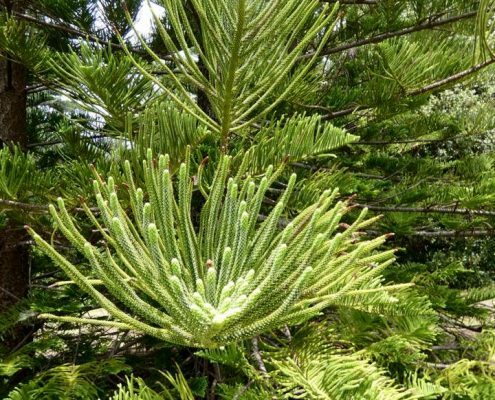 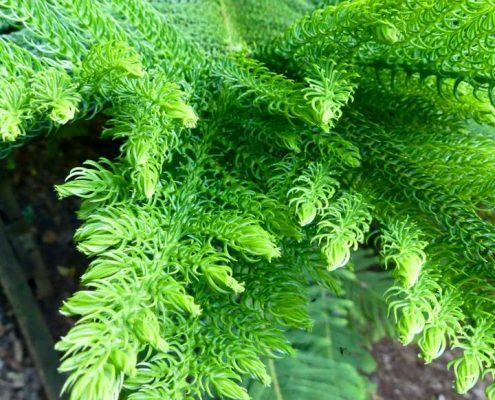 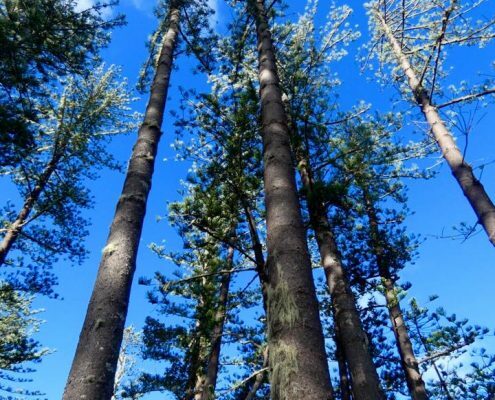 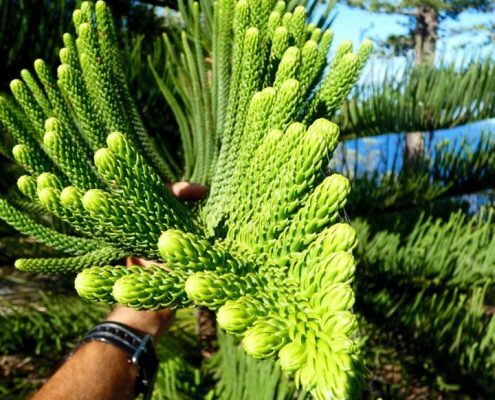 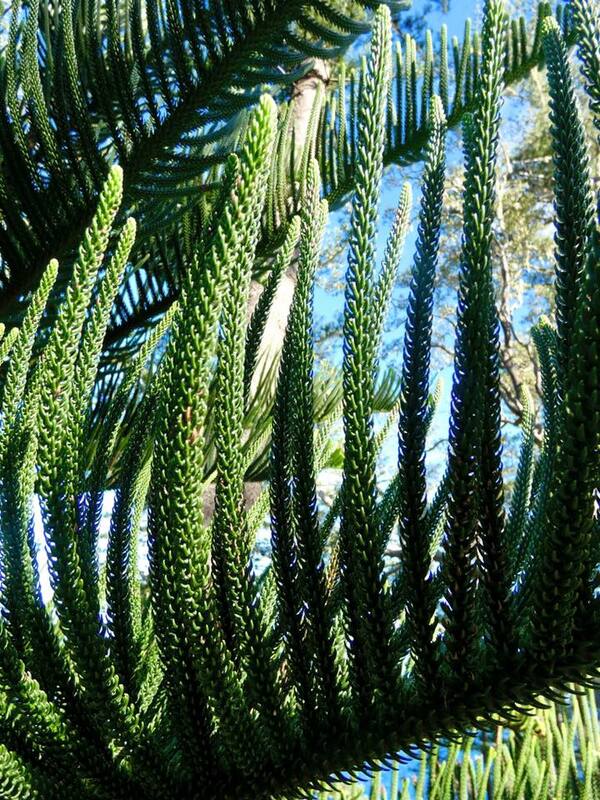 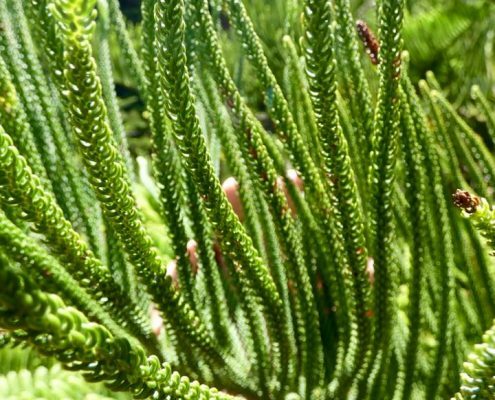 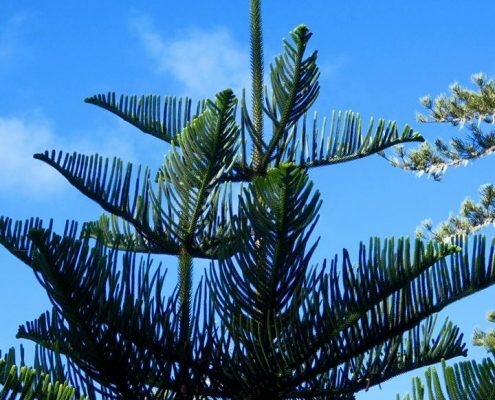 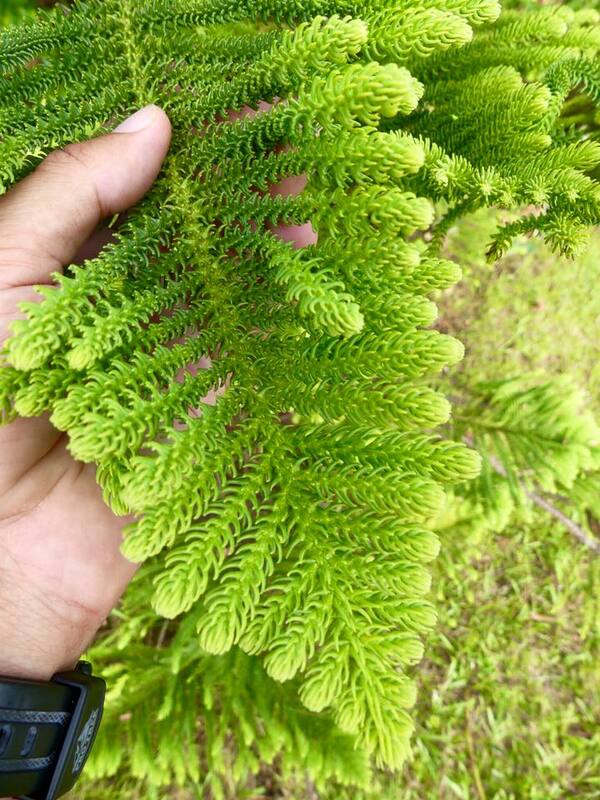 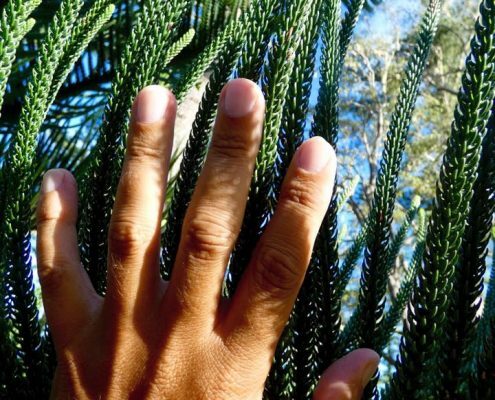 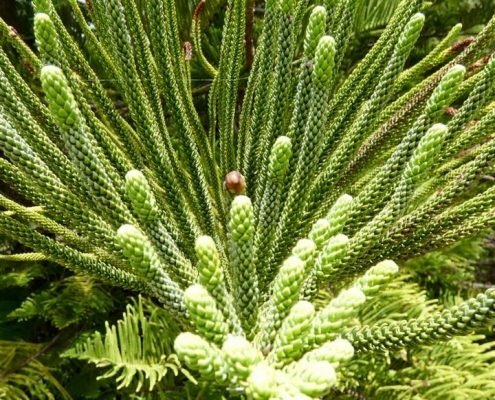 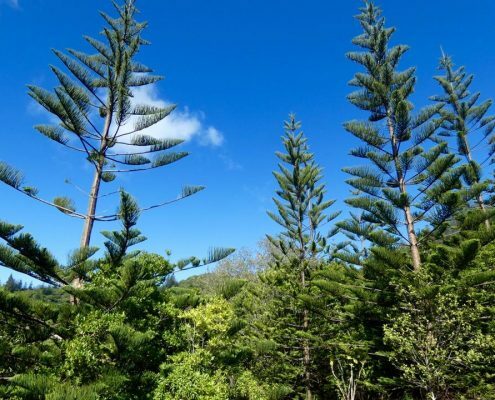 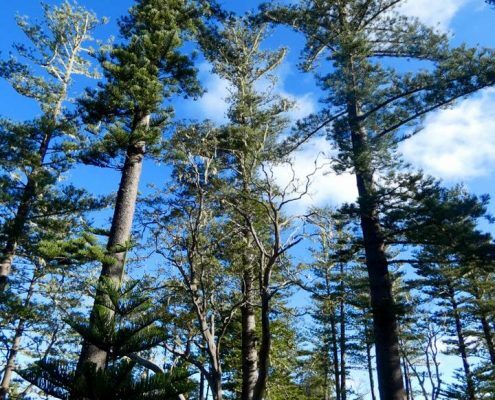 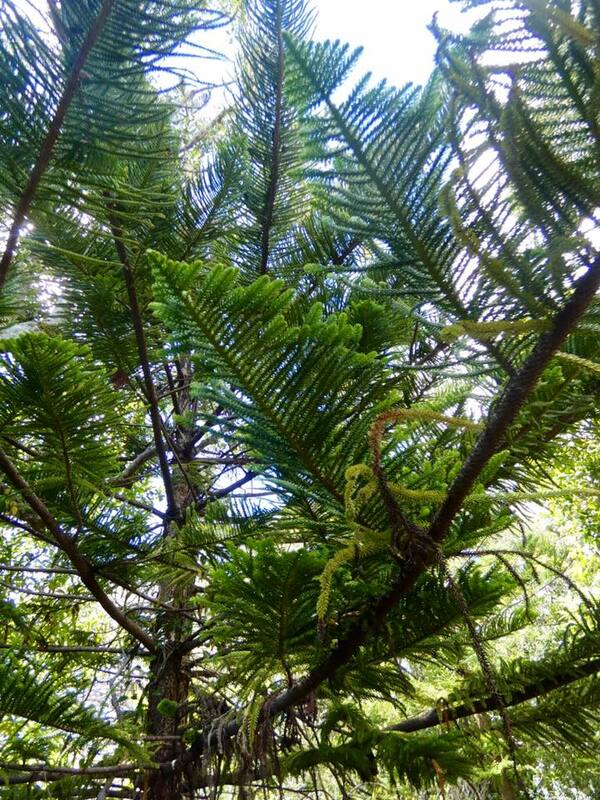 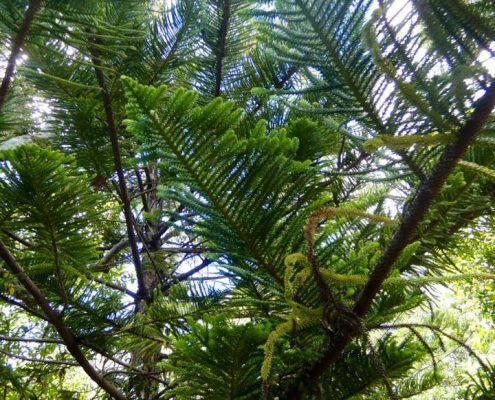 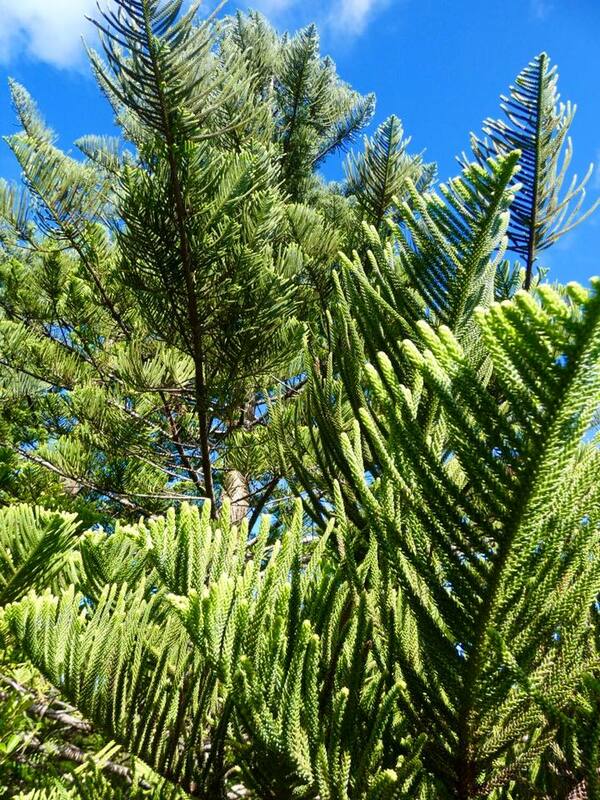 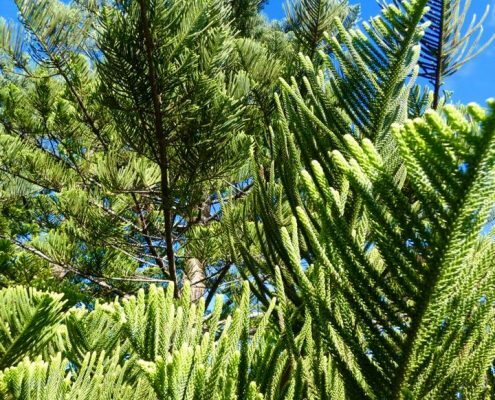 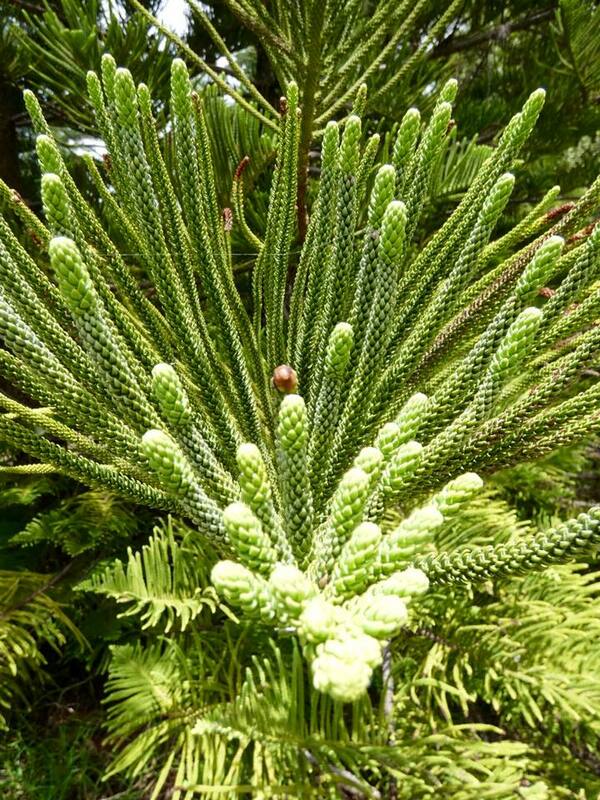 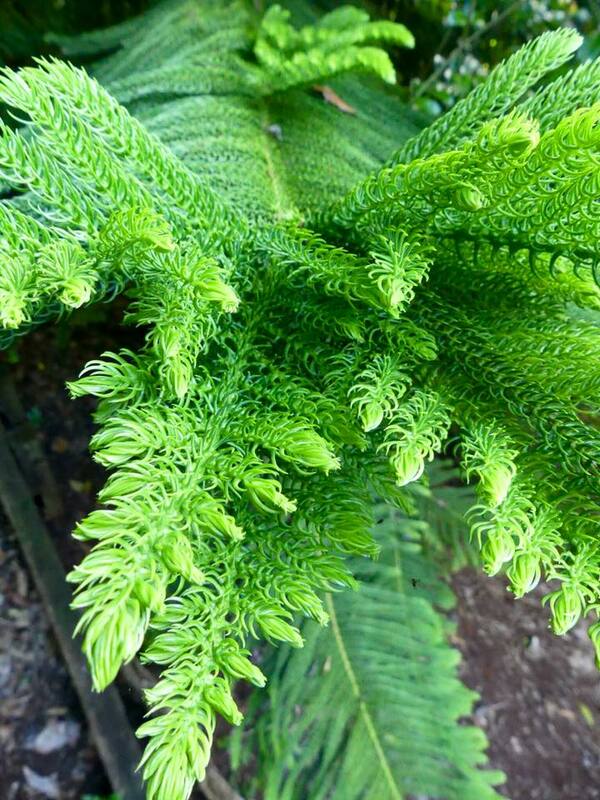 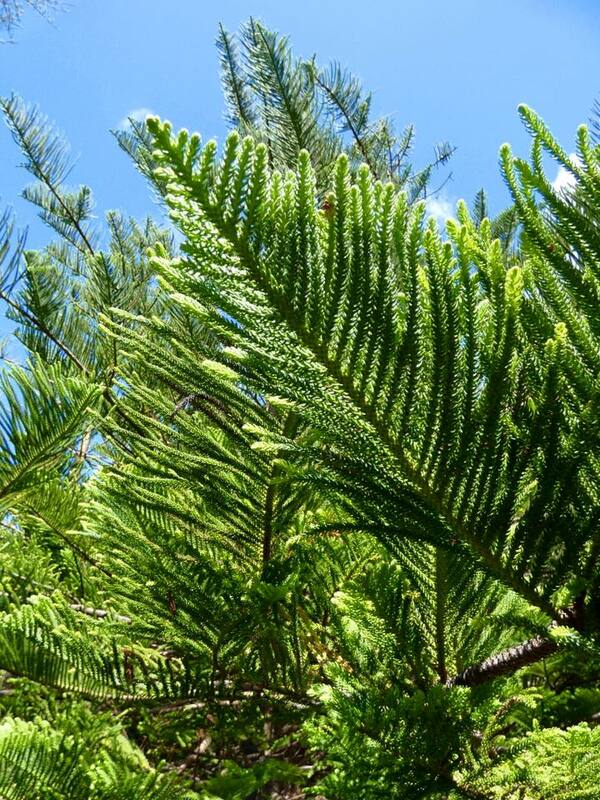 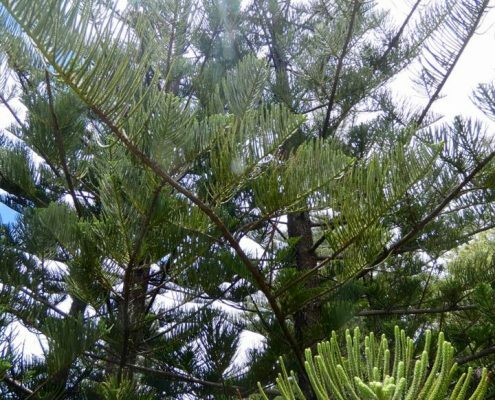 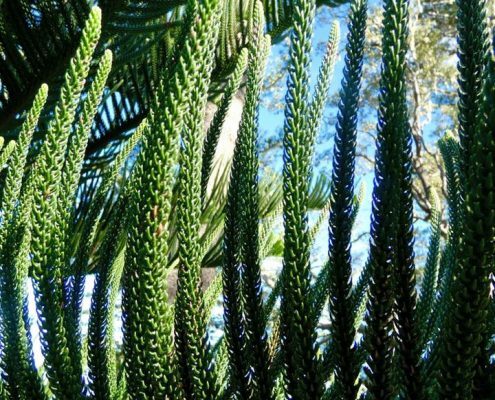 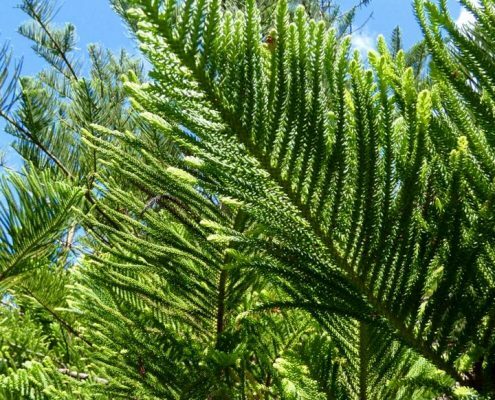 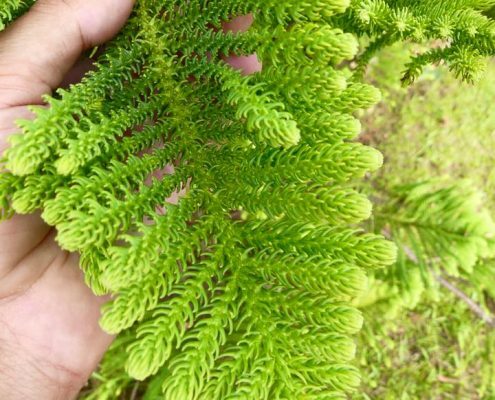 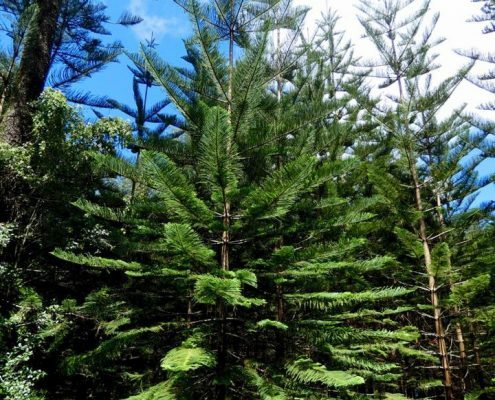 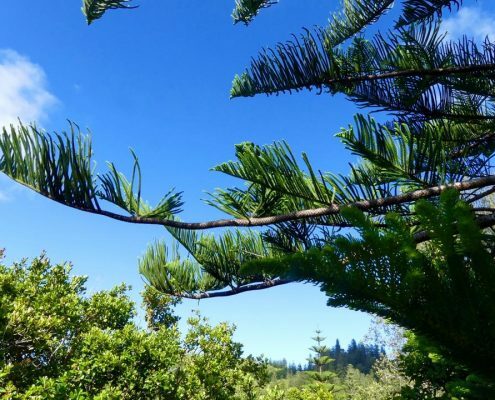 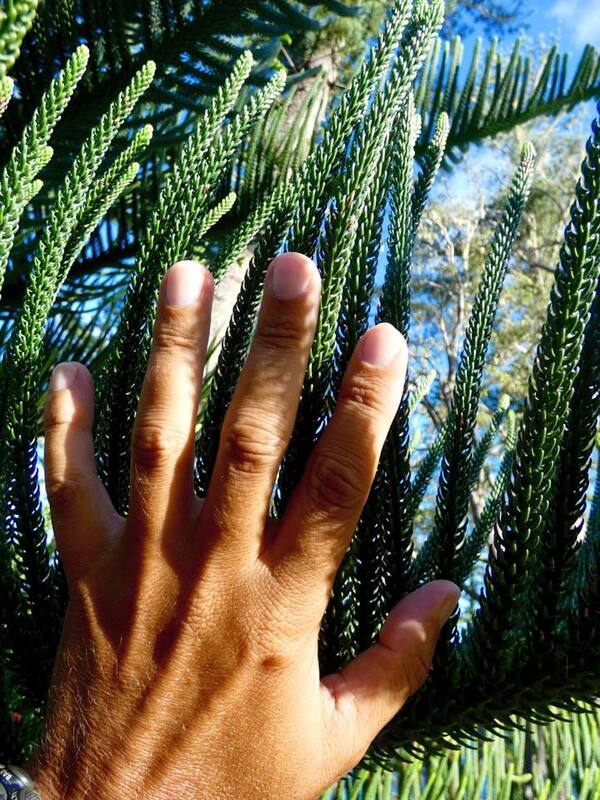 Few people have been to the obscure Norfolk Island in the Pacific but almost everybody has seen the Norfolk Island Pine. 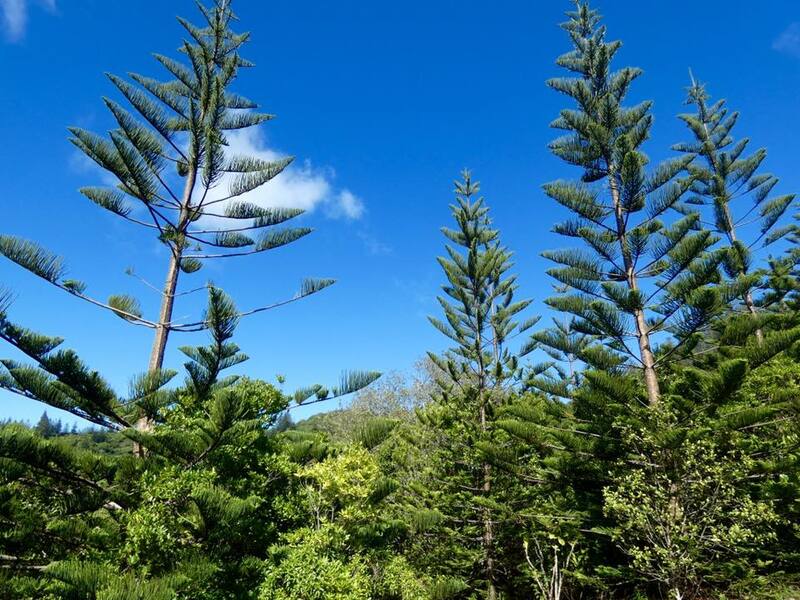 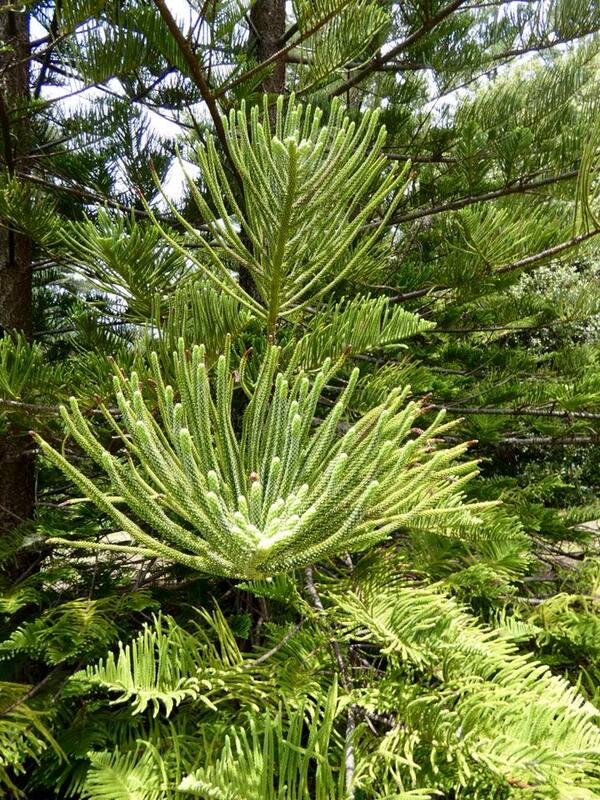 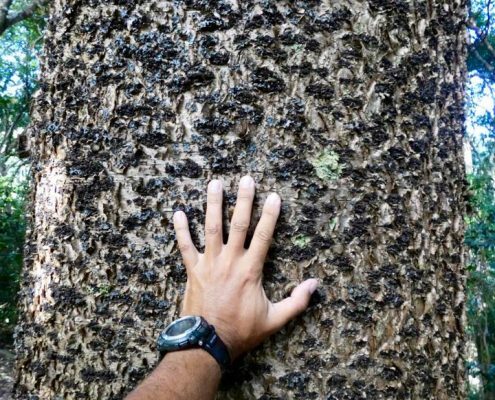 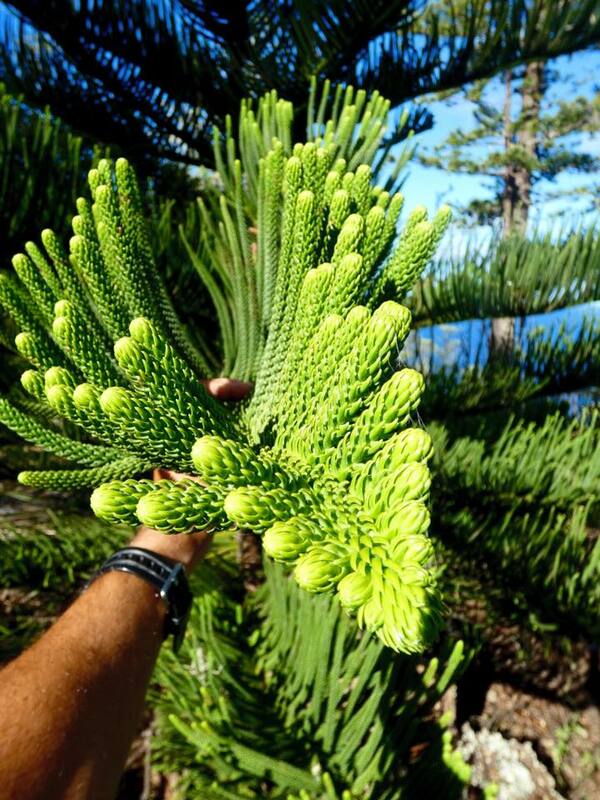 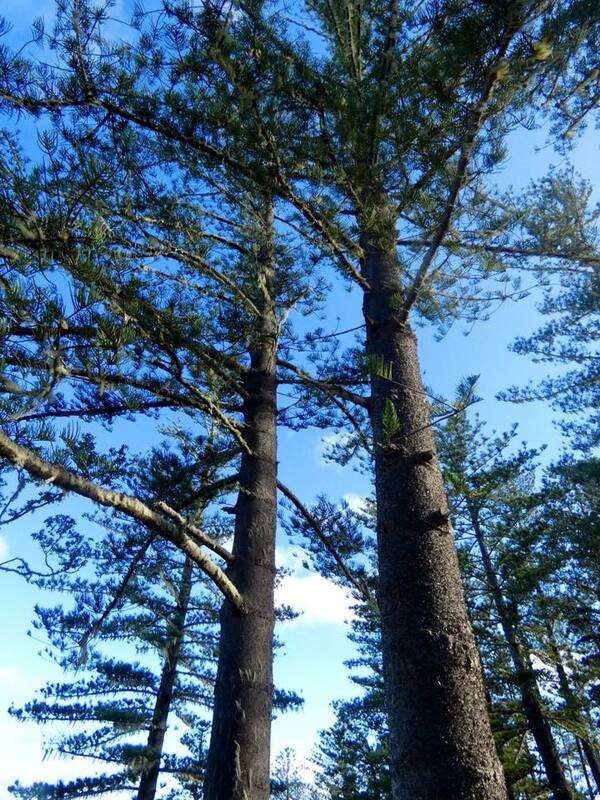 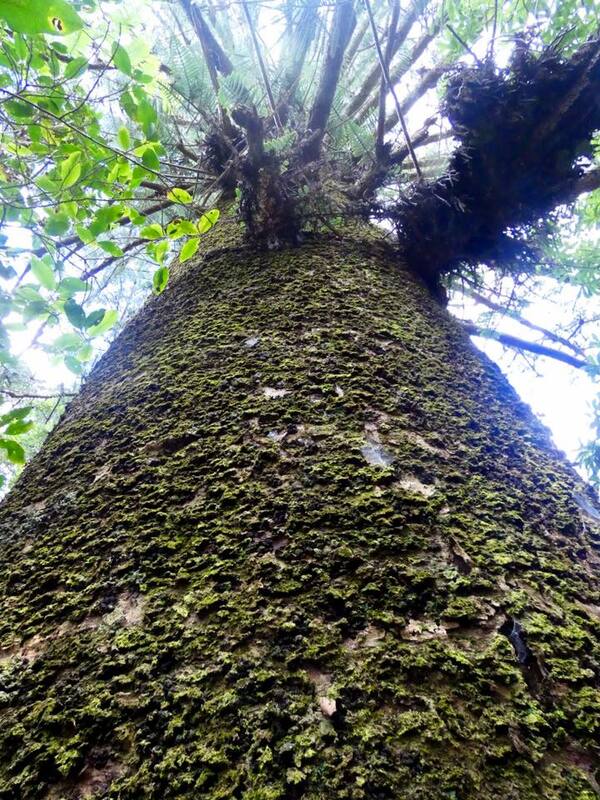 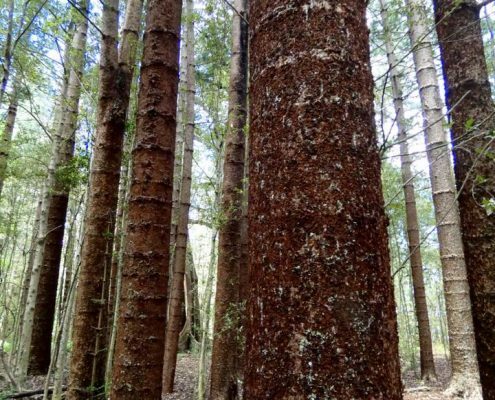 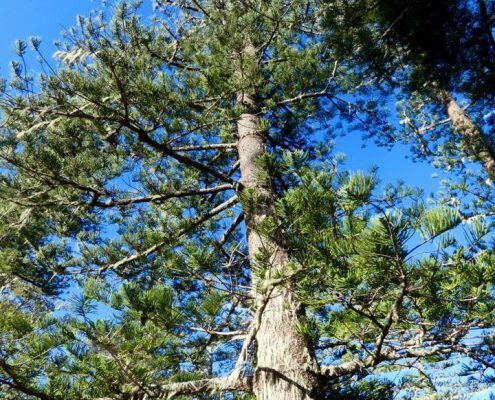 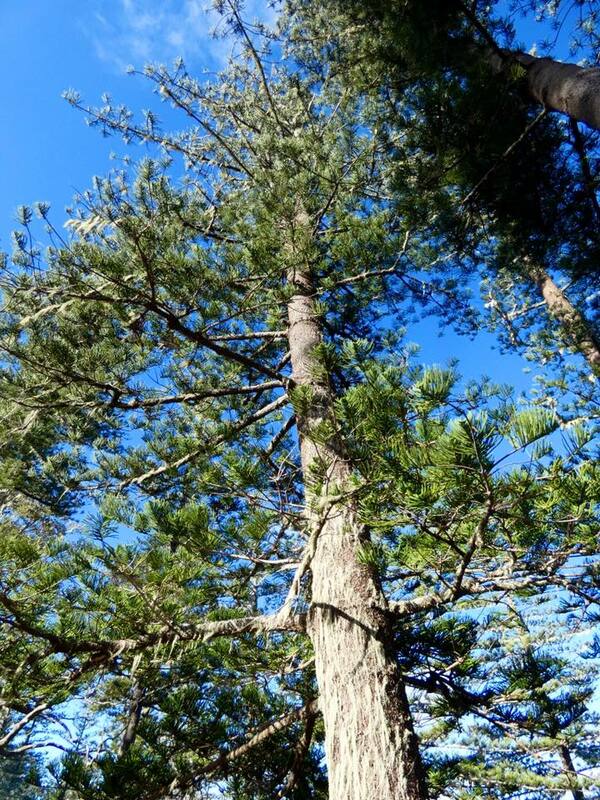 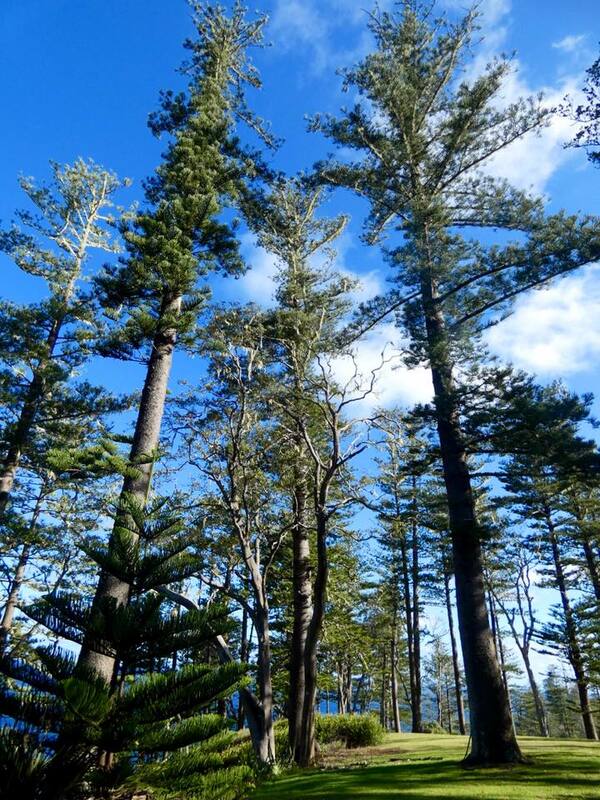 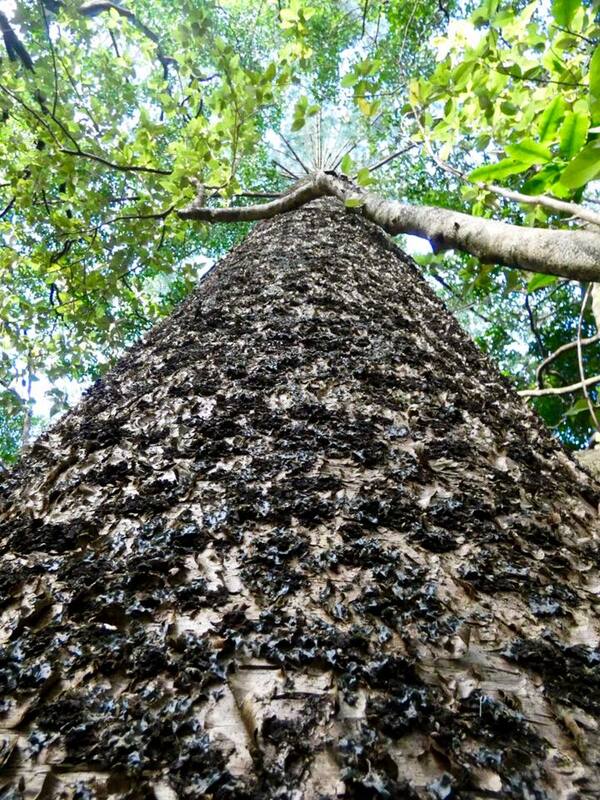 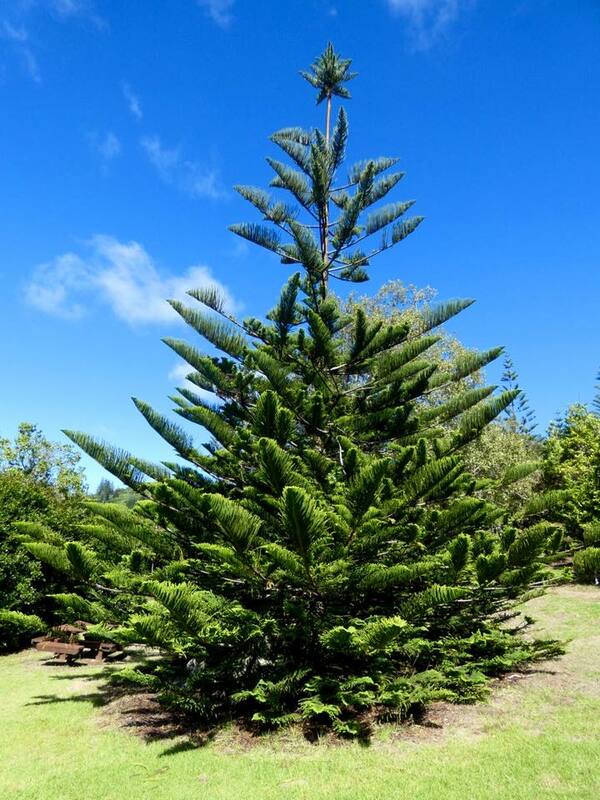 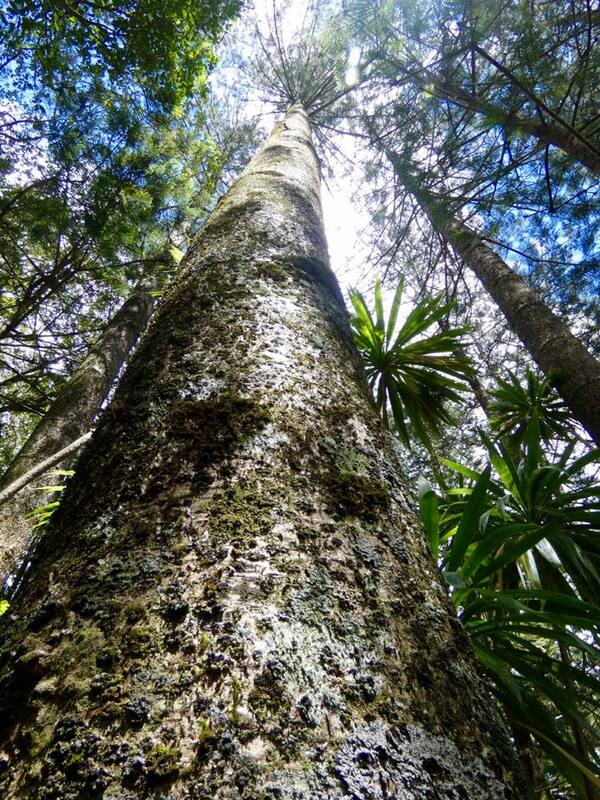 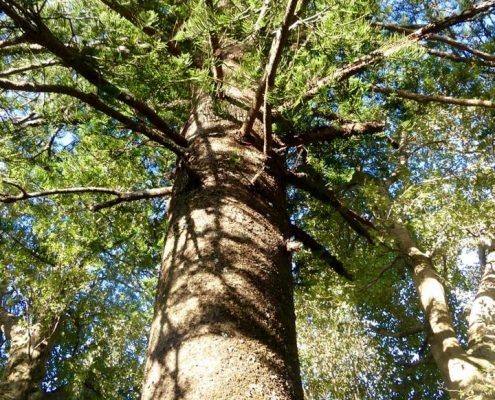 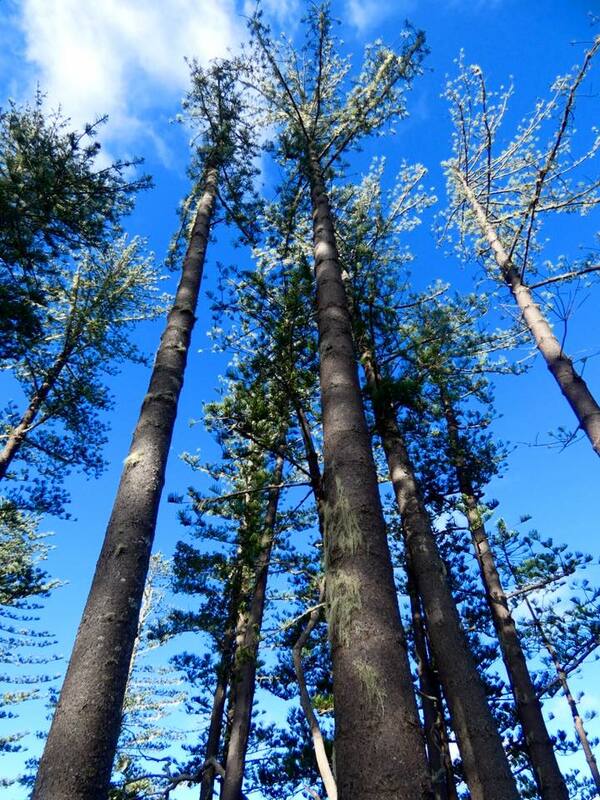 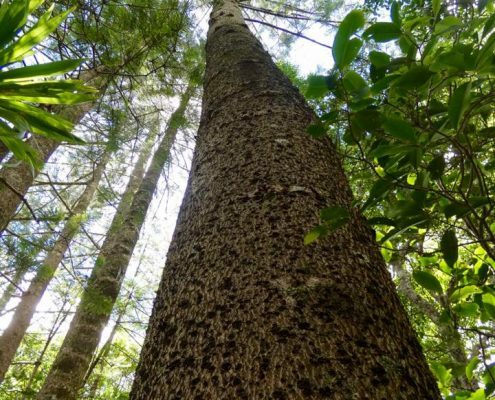 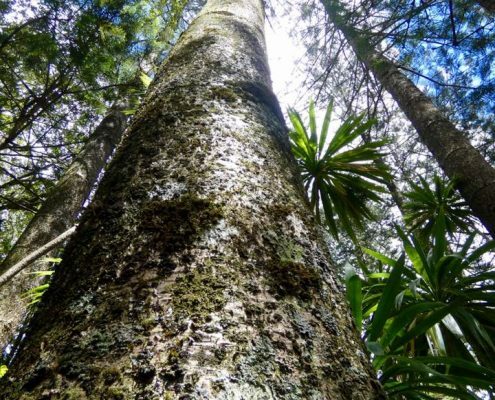 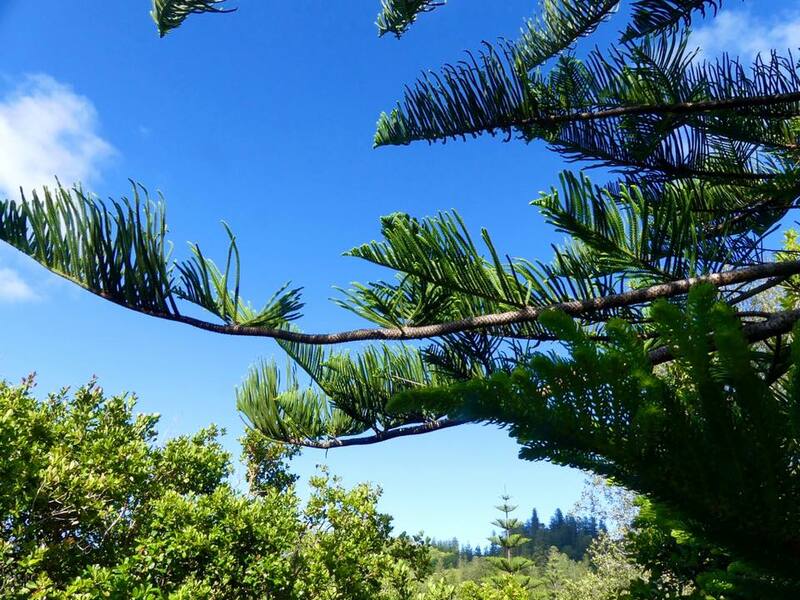 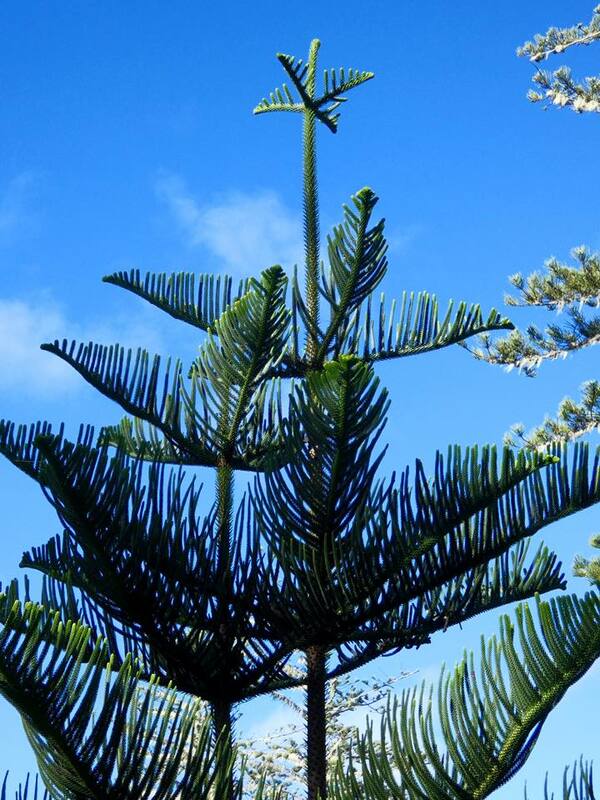 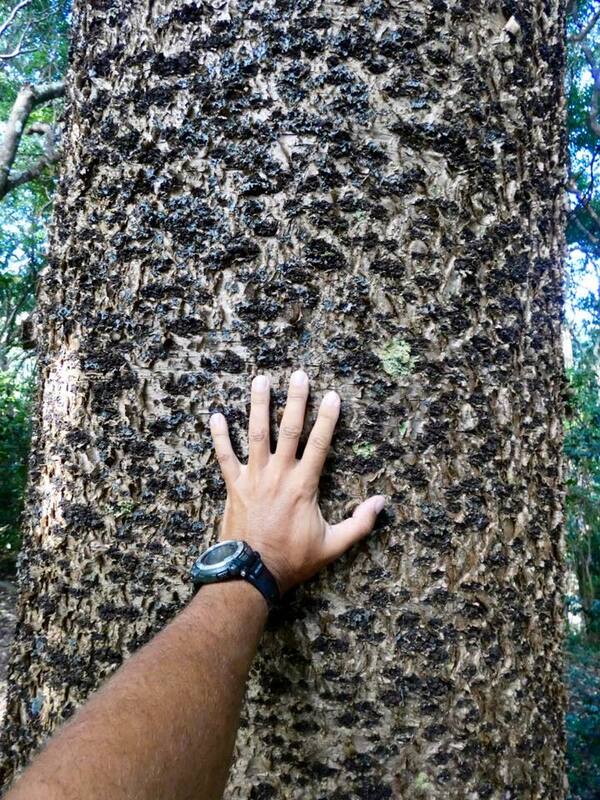 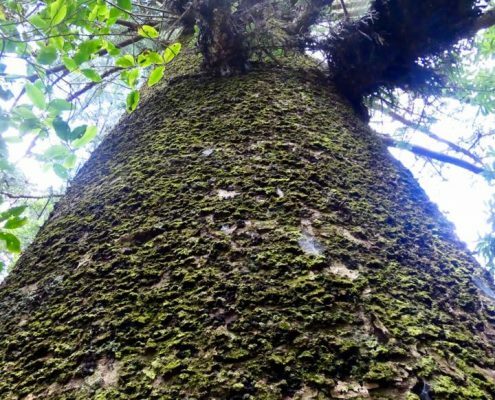 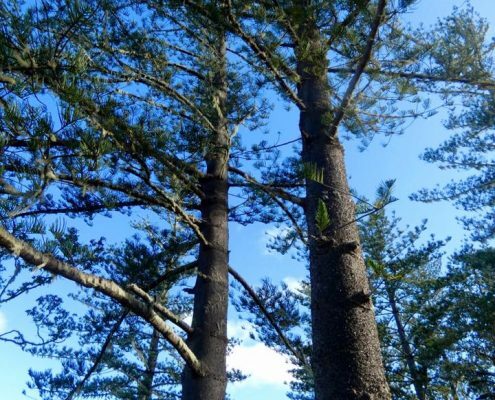 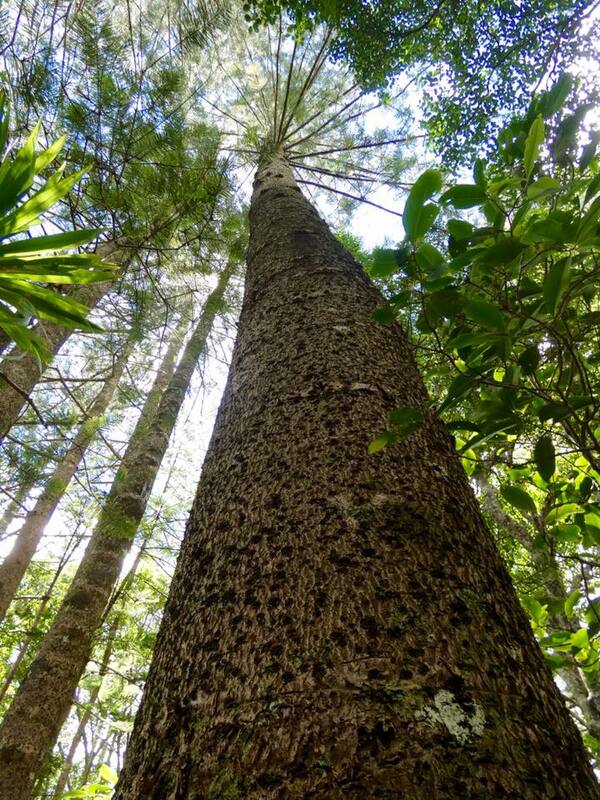 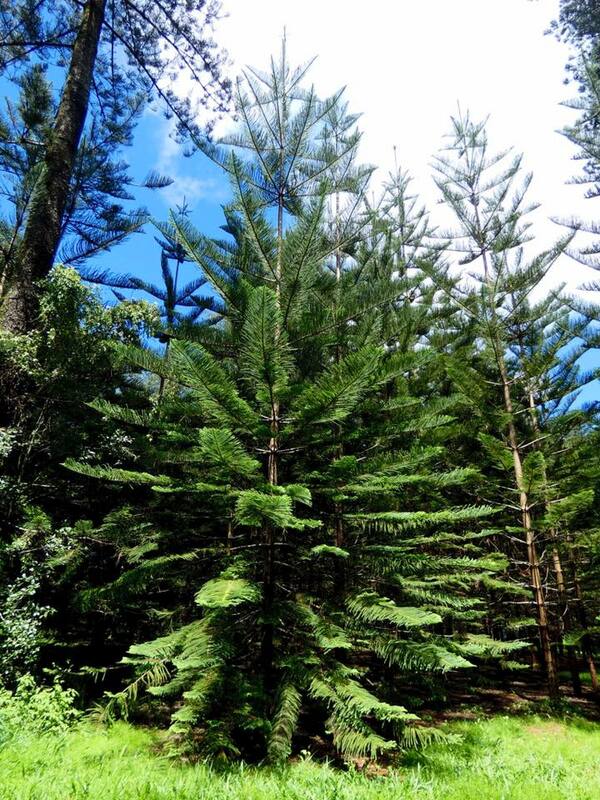 This ancient conifer tree originates from and is endemic to the Norfolk Island. 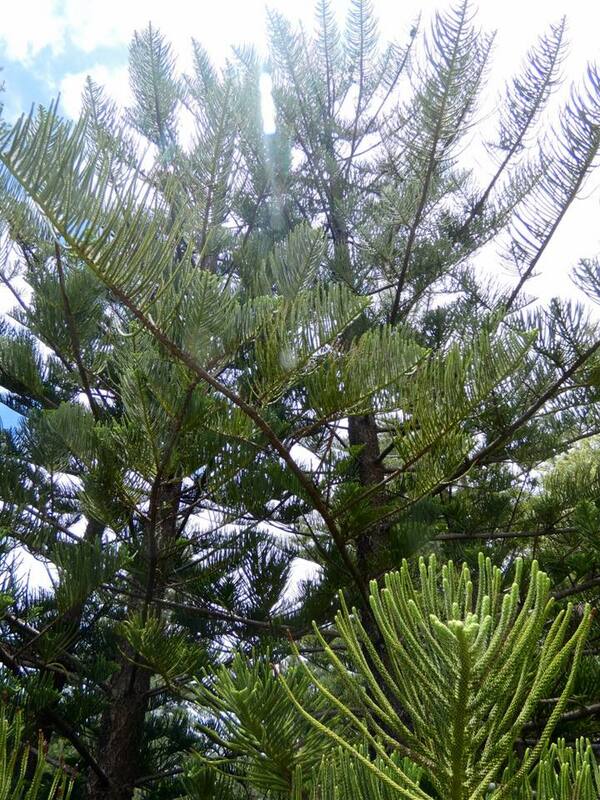 Araucaria heterophylla in Latin, it’s actually a relative of the Chilean araucarias. 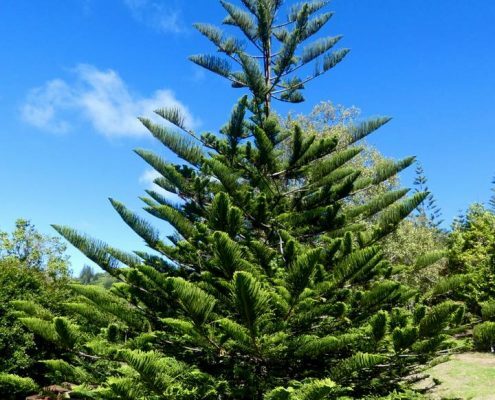 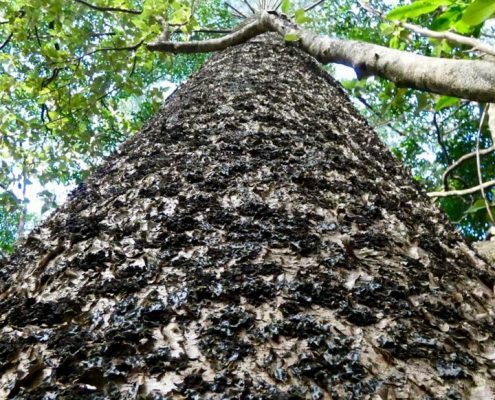 The tree is highly decorative and is used all over the world in temperate climates (like Florida), as well as an indoor mini-Christmas trees. 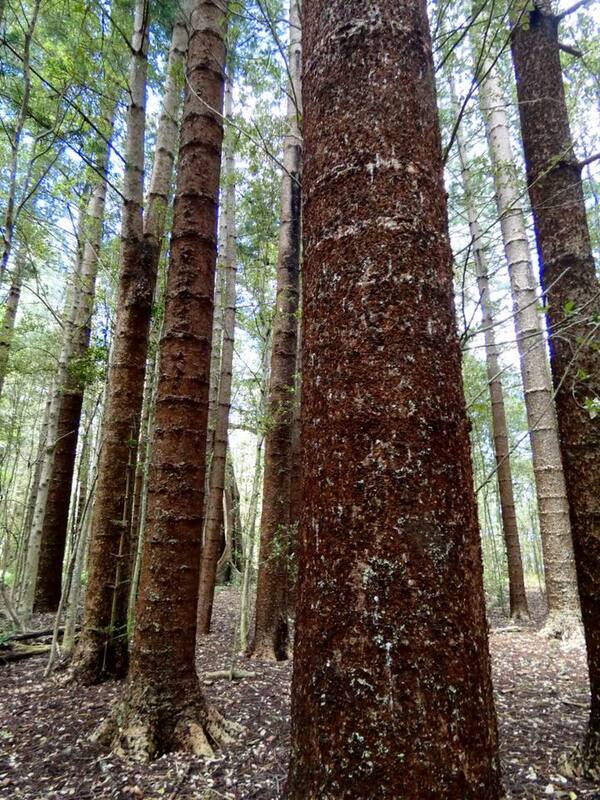 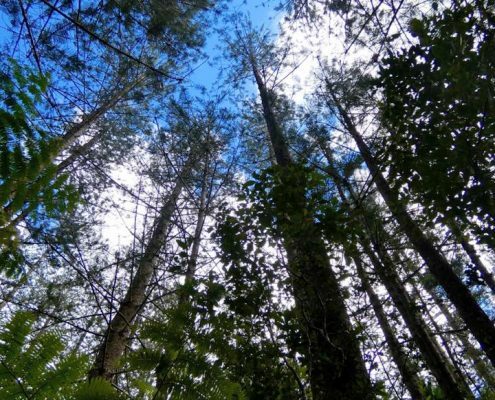 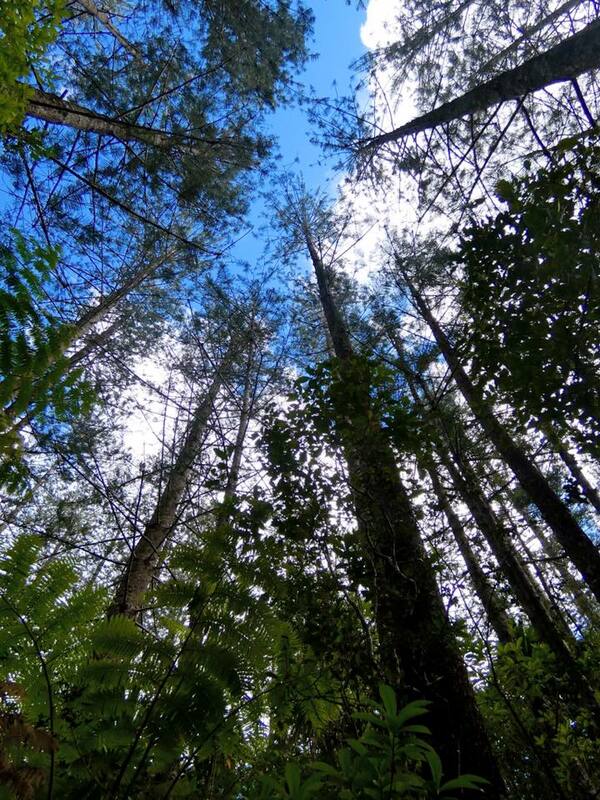 Here on Norfolk, they are everywhere and there are whole forests of them. 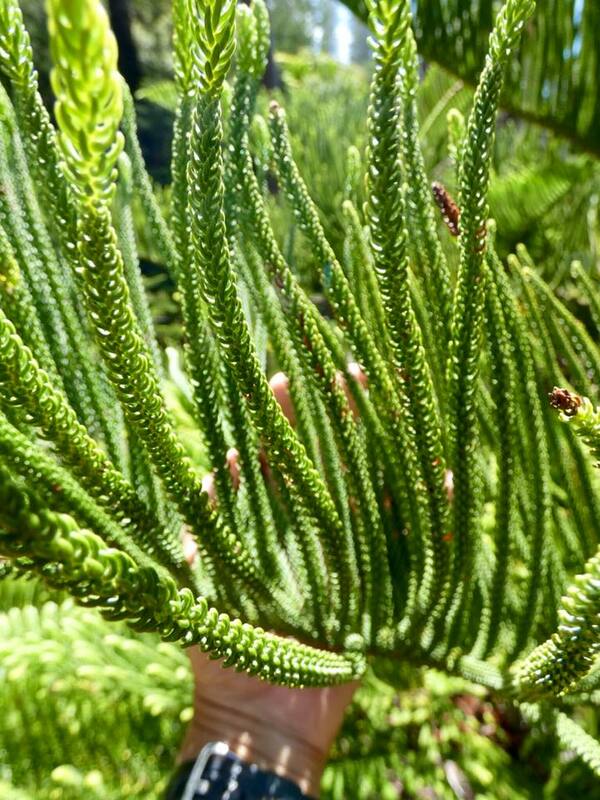 They look very picturesque when young and growing in an open environment.